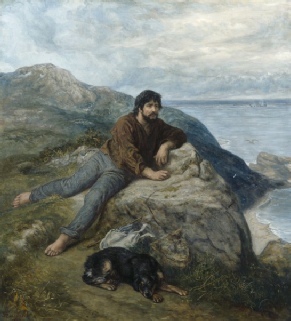 Names such as Sir Alma-Tadema RA, Peter Graham RA, John Hodgson RA, Henry Stacey Marks RA, James Sant CVO RA, George Frederick Watts OM RA, Benjamin Leader RA, George Storey RA, John Seymour Lucas RA RI - without exception, they were all respected Victorian Painters at the top of their profession. 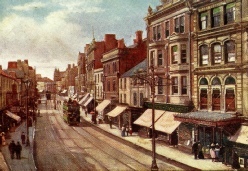 The arrival of the industrial revolution in Cardiff was to create a major change in both the landscape and population of what had been a small town and port. 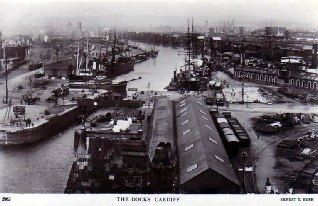 As the worldwide demand for Welsh coal grew, the wealthy Bute family built the docks to be able to export the coal to every corner of the globe. As a result, industrialists, businessmen and professional people were arriving from all parts of the country. Having settled in Cardiff, they were seeking to create cultural activities in the town of their adoption. This was to lead to the creation of the South Wales Art Society and Sketching Club. The seed of an idea to form an art society in Cardiff had been planted by the North Wales based Royal Cambrian Academy. He came to Wales in 1849 and became a prominent figure in the Royal Watercolour Society, he was appointed a Life President of the RCA in 1885. Seward was born in Somerset in 1853, and moved to Cardiff as an architect. He went on to build some of Cardiff’s most notable buildings in the late 19th Century. 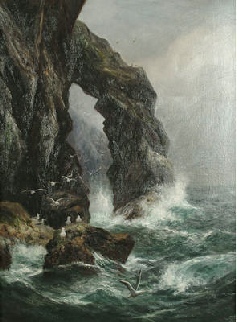 Born in Pontypool in 1839, studied at The Royal Academy. Thomas settled in Cardiff. He became involved with the Eisteddfod and the Gorsedd. He was President of the Cardiff Naturalists Society. 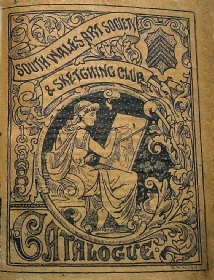 Front cover of the 1st Exhibition held in 1888 at The Public Hall, Cardiff. 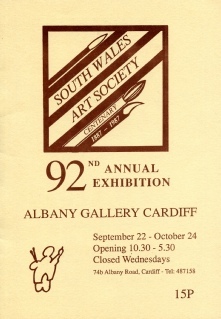 In the Society’s centenary year of 1987, the 92nd Annual Exhibition was held at the Albany Gallery. 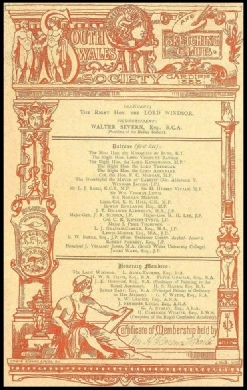 The Society had a membership of over 200 and its studio was in Chapter in the adult education annexe. 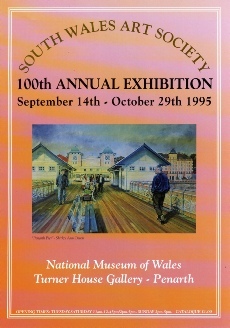 The Society’s 100th Annual Exhibition was held at the Turner House Gallery in 1995. 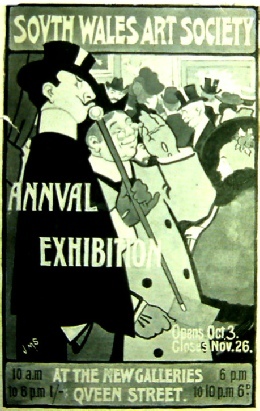 The eight year gap in the exhibitions was due to World War II. Over the Society’s history, several studios have been used as its meeting place, its annual exhibitions have been held in many venues and the National Museum of Wales kindly made available to the Society Turner House Gallery in Penarth which was used for annual exhibitions as far back as the 1890s, when its owner Pyke Thompson, an active member of the Society, made the gallery available to SWAS members. 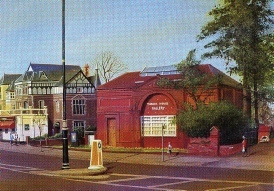 Unfortunately, Turner House has not been available for SWAS exhibitions since 2005, but we hope one day to return to this very popular venue and once again use the gallery as its original owner would have wanted. 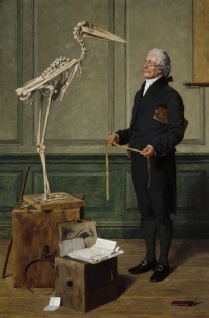 The first committee had influential people who would ensure the Art Society’s place in Cardiff.